BROOKLYN — DAY 26: As the U.S. government heads into the fourth week of a partial government shutdown, some Brooklyn businesses are chipping in with free services, movie tickets and extended food pantry hours. 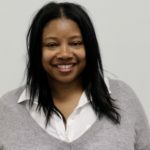 Massage Williamsburg, Massage Greenpoint and Massage Outpost (DUMBO) are offering free one-hour massages valued at $120 for government employees. Federal workers can reach out through the respective website to schedule an appointment. The offer is available now until Jan. 20. BAM is offering free tickets to government workers. Show your ID at the box office and receive a movie pass to see one of the featured films. Get there early. Tickets apply to first screenings only, which start between 4:00 pm and 4:45 pm. See movie listings here. 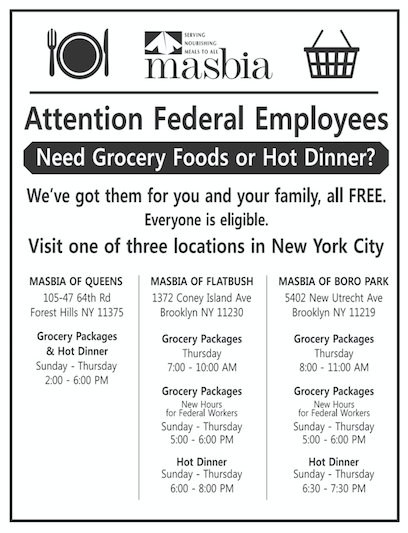 The non-profit food pantry Masbia Flatbush and Masbia Boro Park extended their hours for federal employees to offer food relief. Executive Director Alexander Rapaport and staffer went to Laguardia to pass out flyers to TSA workers Monday. They’re looking for volunteers to go to JFK tomorrow to spread the word. Rocco’s Tacos Downtown Brooklyn is gifting government employees a one-time credit of $20. The offer ends Jan. 20 and doesn’t apply to purchases on Tacos Tuesday or alcoholic beverages. Looking at the menu, that gets you at least one meal and soft drink. Or divvy the Jefferson up among three different tacos, like the pollo, chorizo or the carne asada.